Ah, those winter bugs. Everyone's coughing, no one gets enough sleep, the nights are long and I never seem to wake up in a great mood. Luckily, I've been getting a lot of organizing and closet purging done, preparing for a refreshing spring once all the ice melts. Whenever I'm hanging around at home, my Edens Garden ceramic diffuser is going and I often have Lotus Aroma oils drifting through the air. 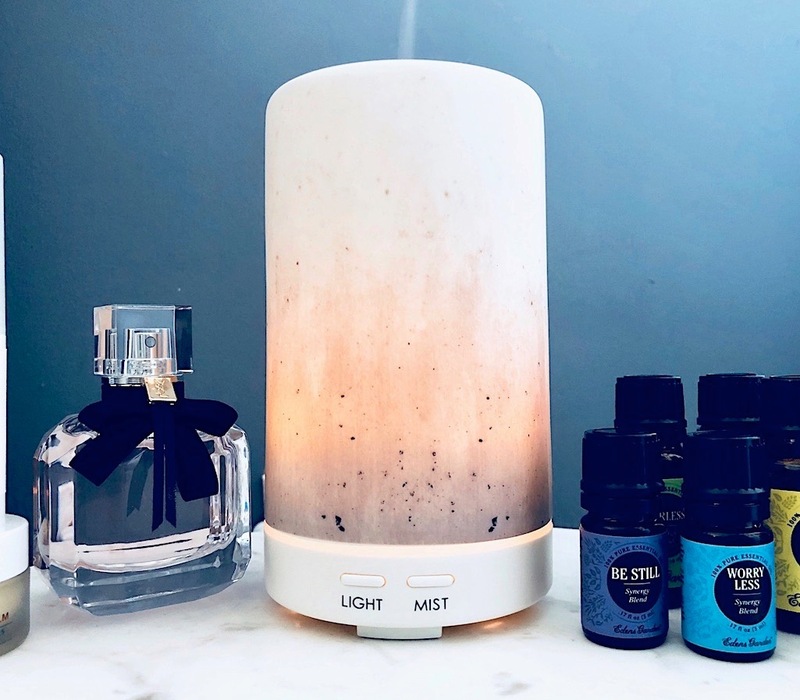 A diffuser will give off a silent mist of antibacterial essential oils suspended in water, purifying and fragrancing our space - naturally. Every time someone coughs, little droplets of germy moisture fall onto the surfaces around us. The same thing happens when we flush the toilet... always close the lid to avoid having bacteria collect on your skin and counter. 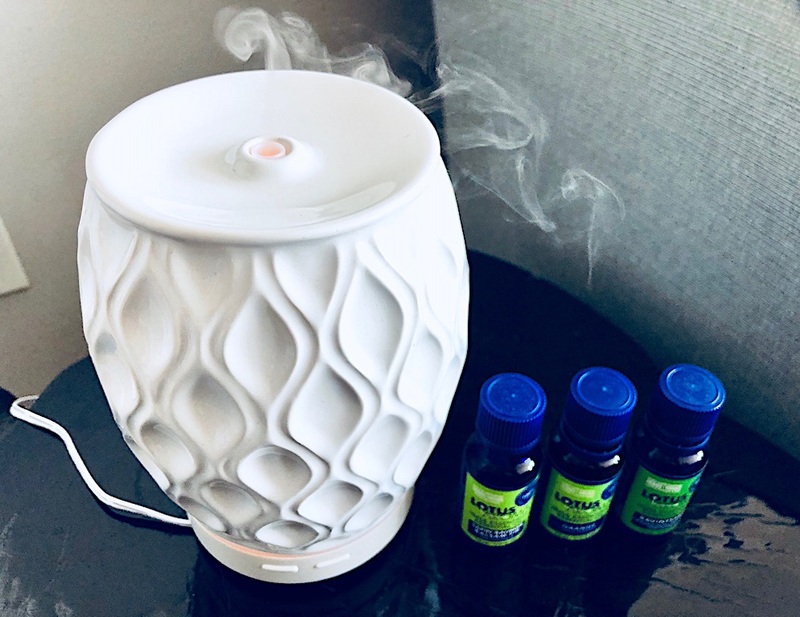 Essential oil diffusers are a wonderful addition to any washroom since most of them have a dim light that can be turned on at night, acting as a nightlight. I've been trying diffusers and oils from various brands recently to find which work best. 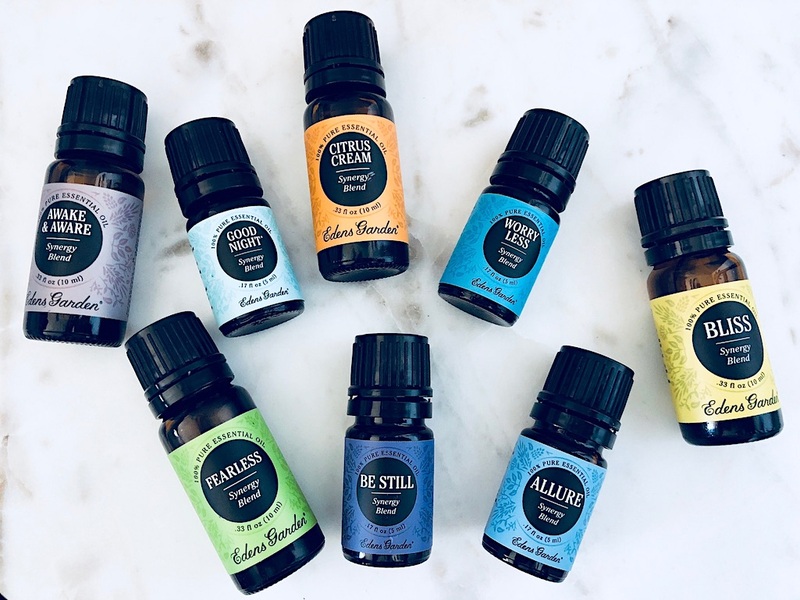 Lotus Aroma carries some wonderful oils and their own diffuser which you can find here. I love using their Balsam Fir for air purification, especially now in the winter since it smells like Christmas tree. 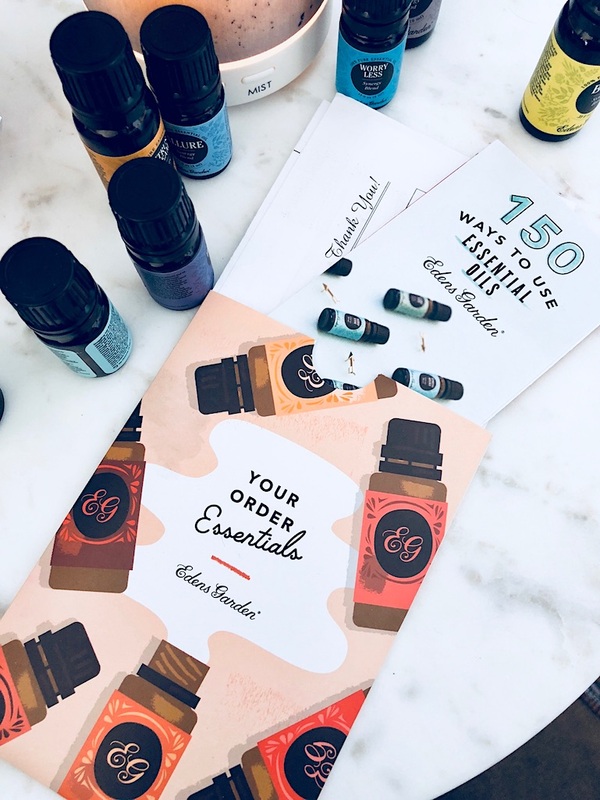 Orange oil is by far my favourite for during the day, citrus is uplifting and really yummy to have diffusing through a kitchen or living room. Ravintsara has a camphor smell and works great for calming anxiety and aiding in meditation. These oils tend to eat up unpleasant cooking smells as well. I recently read a fantastic post on Because I'm Addicted Blog titled "5 things to do when you feel a cold coming on". First and foremost, I'm a big proponent of herd immunity and reducing the risk of passing flu viruses to the most vulnerable in our lives - ie. babies and seniors. This means that getting a flu shot is the most responsible decision you can make towards stopping the flu epidemic happening right now. Even if you catch a virus after being vaccinated, symptoms will be far less severe and shorter-lasting. I experienced just that this year: a 5-day cold, whereas the folks around me fell very ill for weeks. I purchased the Hubmar AromaVase in White from Well.ca for around $50 a few months ago and loved the sleek look. It has a multi-coloured light and various settings to control diffuser frequency (1 click of the right button for a constant stream, two clicks for intermittent). I noticed that this diffuser has the exact same chamber setup as my Edens Garden diffuser below, but the light and exterior are different. 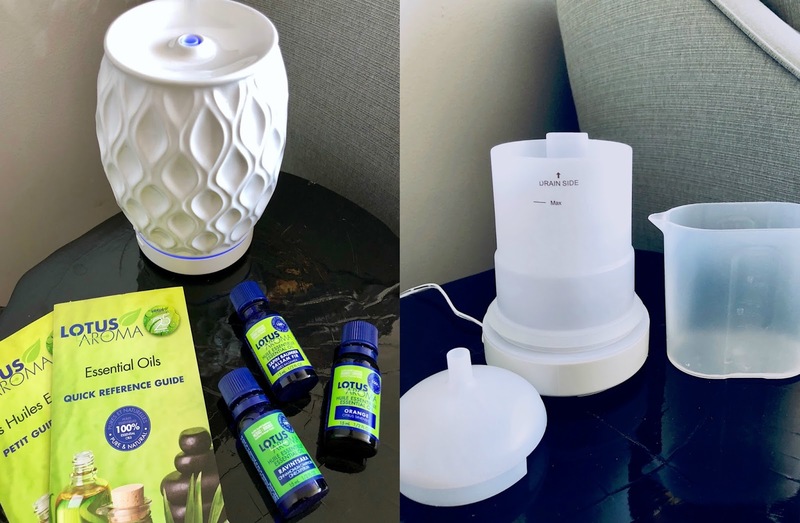 I was sent some amazing oil blends along with my Edens Garden Ceramic Ultrasonic Diffuser* ($60 and the shade Mauve Ombre). Edens Garden has fantastic customer service and top notch products, you won't be disappointed. I add plain tap water into the chamber with 3-5 drops of oil, and ensure that I empty and wipe the inside after each use. These machines produce a cool stream of air, maintaining the oil's antibacterial properties and/or natural fragrance. Speaking of bacteria-fighting, I need to pick up some peppermint oil since you can use that inside shoes (along with baking powder) to eliminate odor. Allure 5ml - Bergamot, Ylang Ylang, Patchouli, Vanilla CO2, Jasmine, Cinnamon Bark, Cistus, Vetiver, Sandalwood, Cocoa and Rose essential oils. Awake & Aware 10ml - West Indian Sandalwood, Patchouli, Frankincense, Lime, Ylang Ylang, Sandalwood and Chamomile essential oils. Be Still 5ml - Frankincense, Patchouli, Ylang Ylang, Cistus, West Indian Sandalwood, Sandalwood, Rose and Osmanthus essential oils. Bliss 10 ml - Orange, Clove Bud, Star Anise, Lemon Myrtle, Nutmeg , Vanilla CO2, Ginger, Cinnamon Bark and Zdravets essential oils. Citrus Cream 10ml - Orange, Lemon, Grapefruit, Mandarin, Bergamot, Tangerine, Clementine and Vanilla CO2 essential oils. Fearless 10ml - Spruce, Bergamot, Juniper Berry, Myrrh, Arborvitae, Nootka Tree, Thyme and Citronella essential oils. Good Night 5ml - Lavender, Sweet Marjoram, Chamomile, Bergamot, Ylang Ylang, Sandalwood, Key Lime, Lime and Vanilla CO2. Worry Less 5ml - Vetiver, Lavender, Ylang Ylang, Frankincense, Clary Sage, Sweet Marjoram, Cistus and Spearmint essential oils. I'm going to try mixing peppermint, rosemary and eucalyptus next to mimic the delicious fragrance of my Kaia Naturals Charcoal Detox Bath Soak. 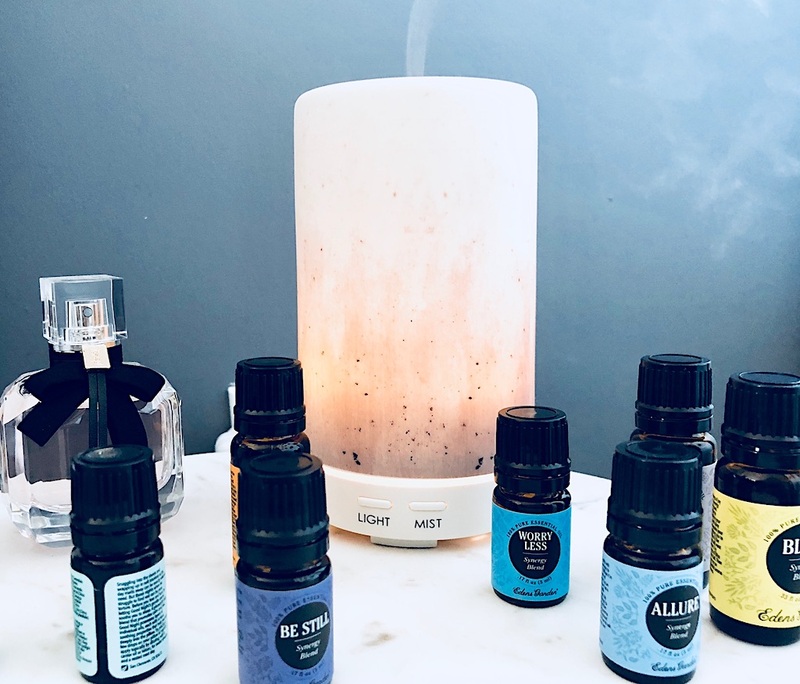 Do you have any tips for combating seasonal illness, or favourite essential oil blends to diffuse in the home?